Guest rooms include two full-size beds. Sheets and towels will be provided for you through our linen service. Our house is also staffed 24-Hours by staff and security. 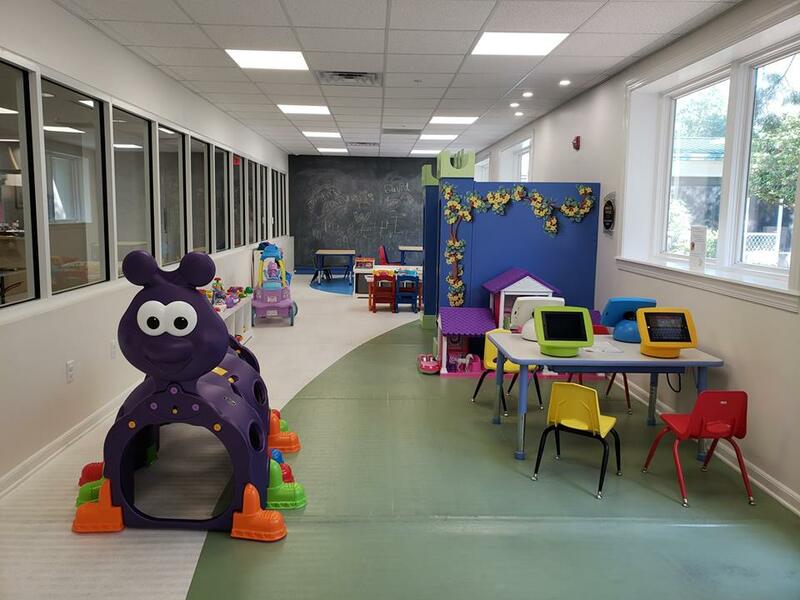 Our colorful, 70- ft playroom is available for children to bond and create relationships with other children! 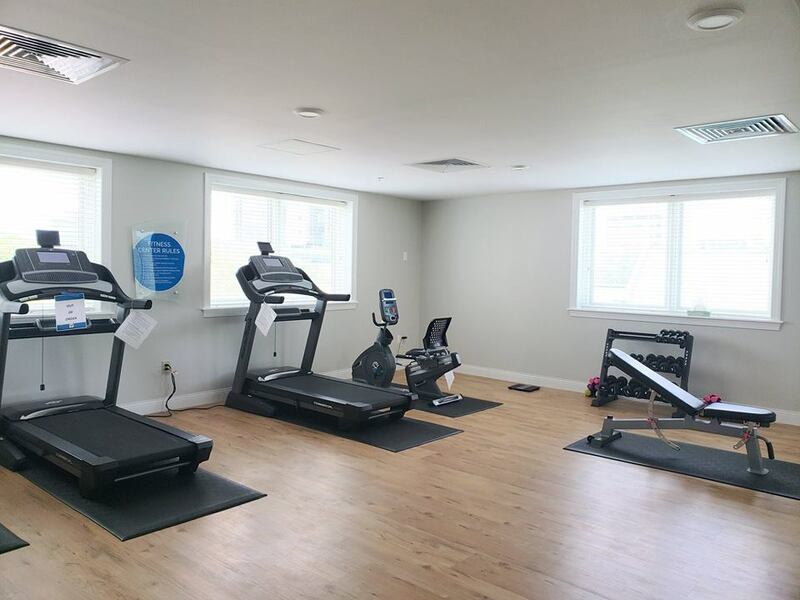 Our gym is equipped with treadmills, a stationary bike and free weights. Our Theater is fully equipped with comfortable chairs, sofas and a large projector to get your movie-fix without leaving the House! 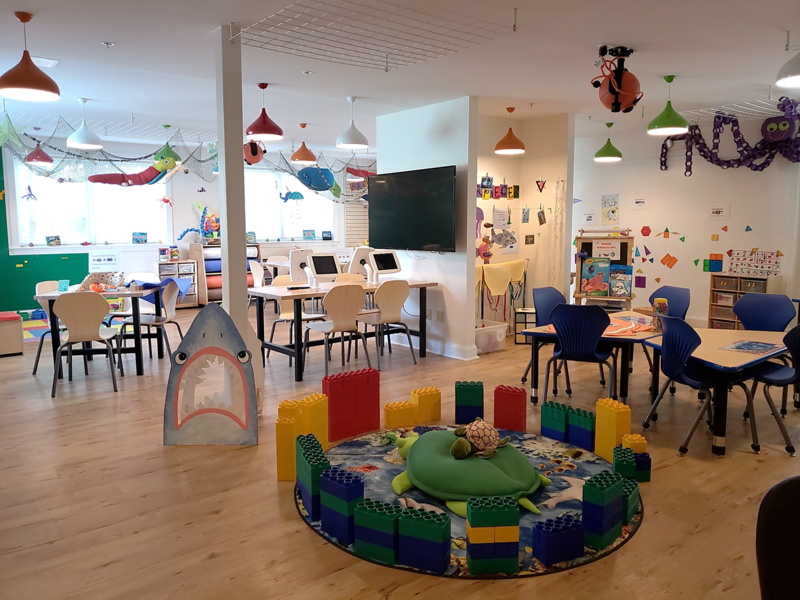 Kidzone is a unique space where children age five and older have opportunities to Explore, Learn and Play. 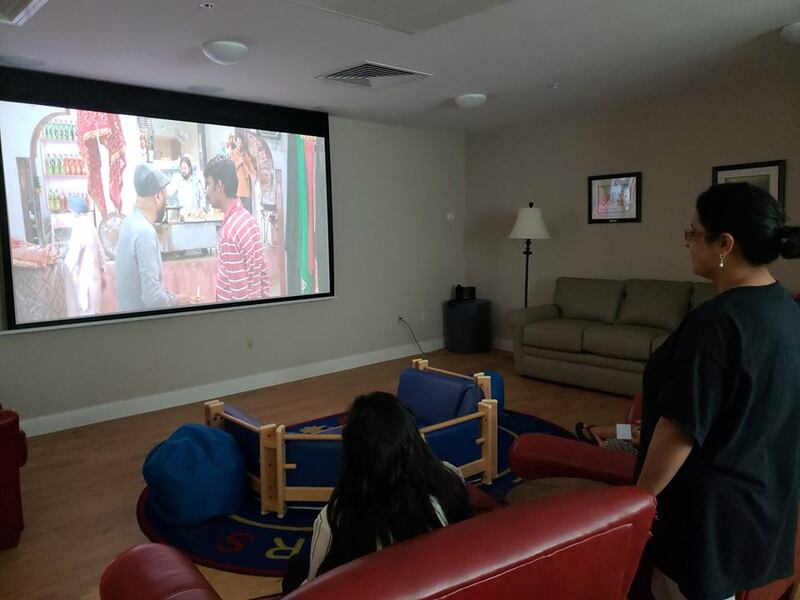 Located on the 2nd floor of the East Wing, Kidzone Learning Center is a magical retreat away from the everyday challenges of the medical world. 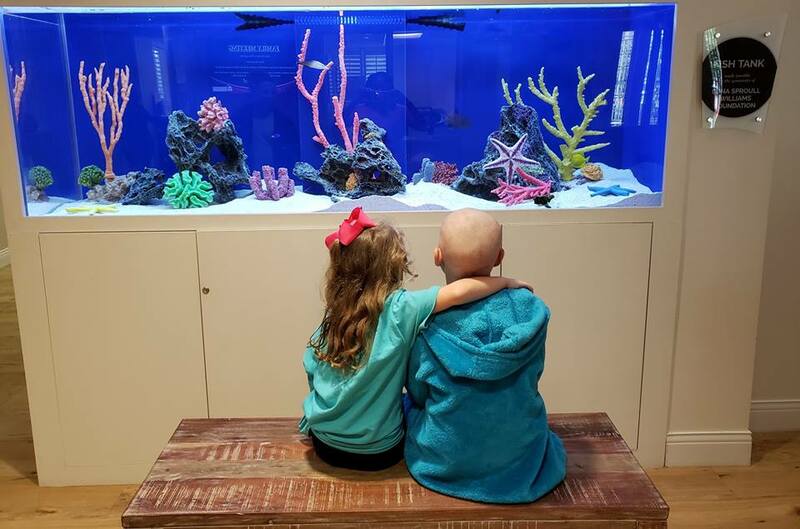 Under the guidance of seasoned volunteer teachers, artists and RMHC of Jacksonville staff serving as ‘Explorer Guides’, children may choose to participate in guided enrichment activities centered around fun and interactive themes or enjoy free play at one of the discovery stations. The House chapel is a quiet space for meditation, peace and spiritual aid. Families can also enjoy emotional support from staff, volunteers and soon, a licensed mental health specialist. 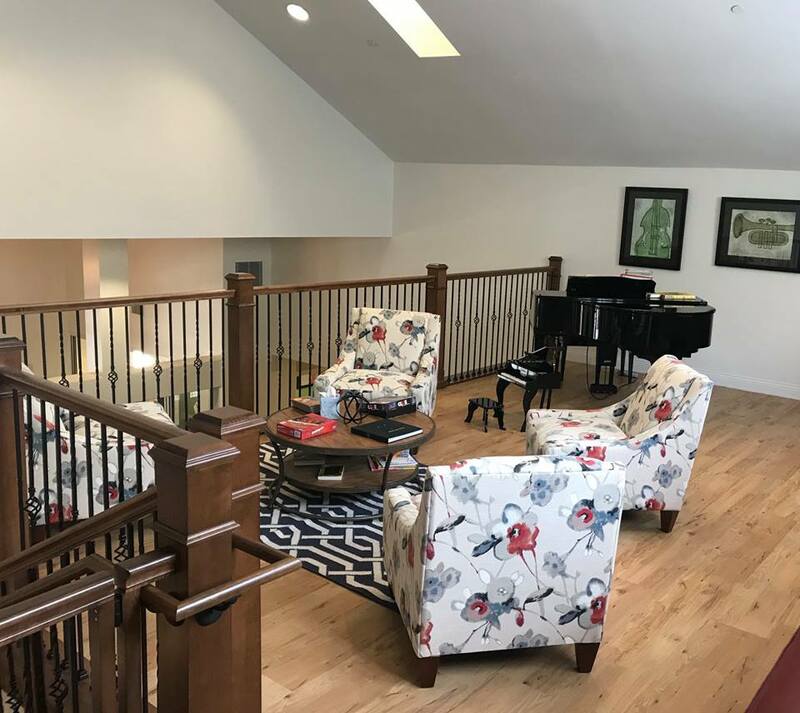 Our loft is available for families to relax and decompress. Feel free to play the piano and express yourself through music! 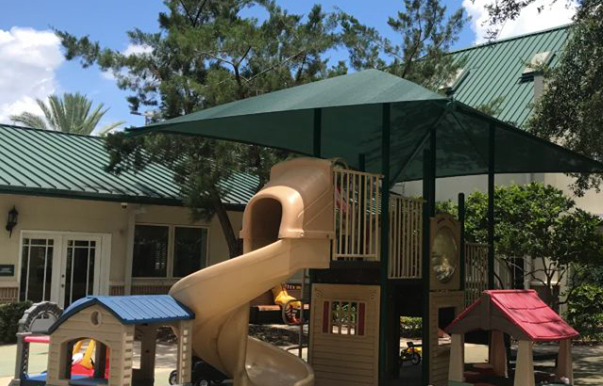 Our outside courtyard is home to a large playset, basketball court, and toys! 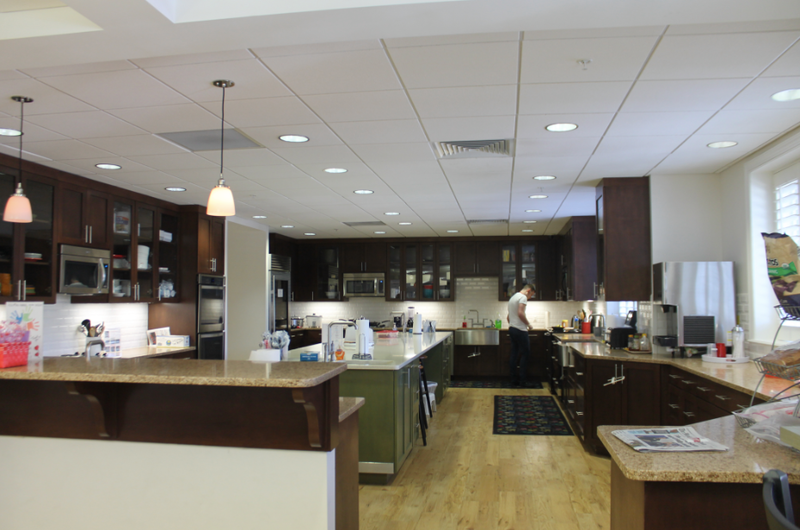 Pots, pans, dishes and other kitchen utensils are available in our kitchen. A community pantry is stocked with food staples and paper products. Dinner is provided each night by our community partners or House Chef/Kitchen Manager. 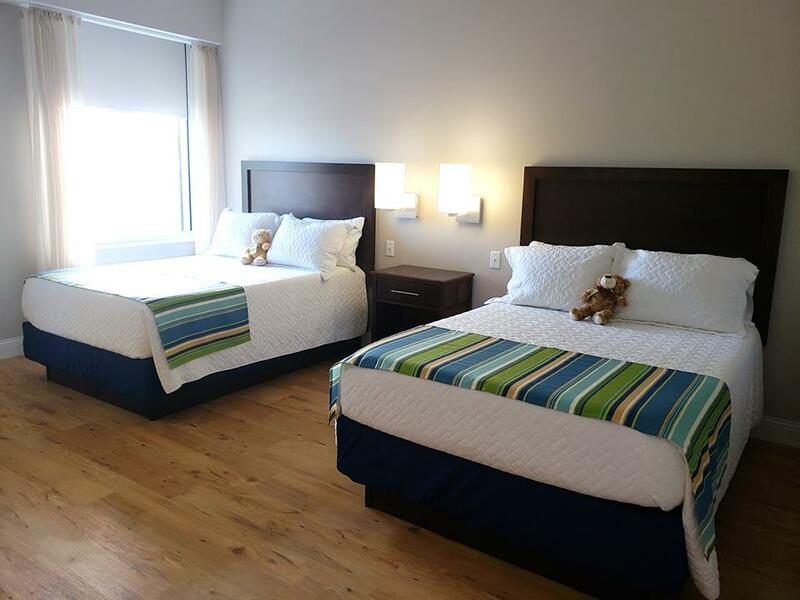 Numerous laundry facilities throughout the House ensure a comfortable stay. Laundry detergent, bed sheets and towels are provided for your convenience. 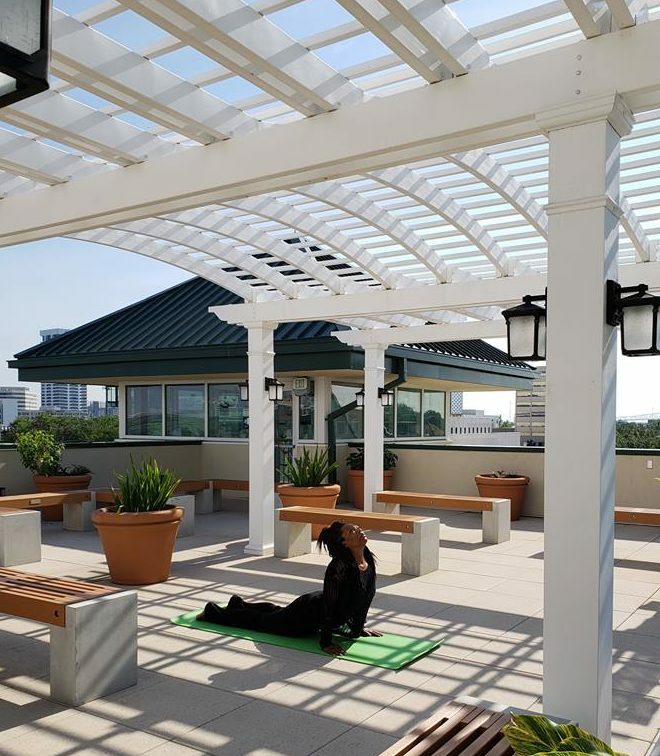 Our peaceful Rooftop Garden is the perfect space to relax and unwind. Our House also schedules regular interactive activities at the Rooftop Garden for Guests! 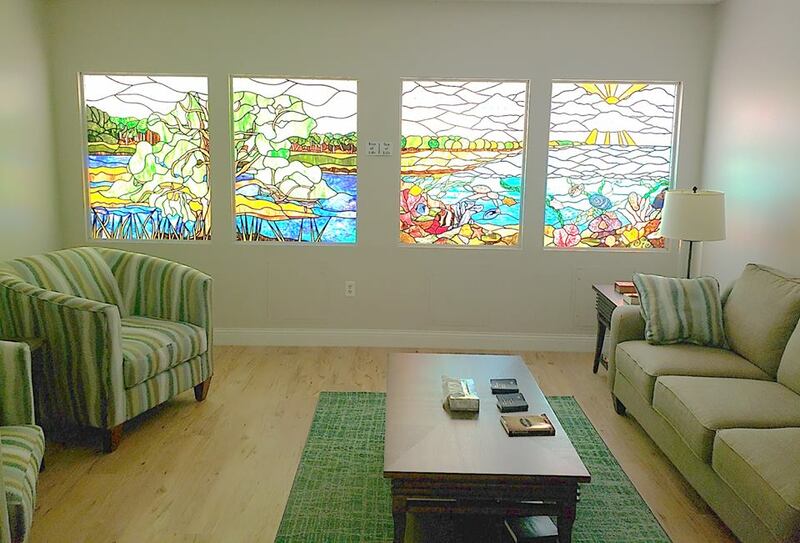 Our beautiful saltwater Aquarium, provided by Ocean Floor Aquariums, is a House favorite for both Guests and Staff!